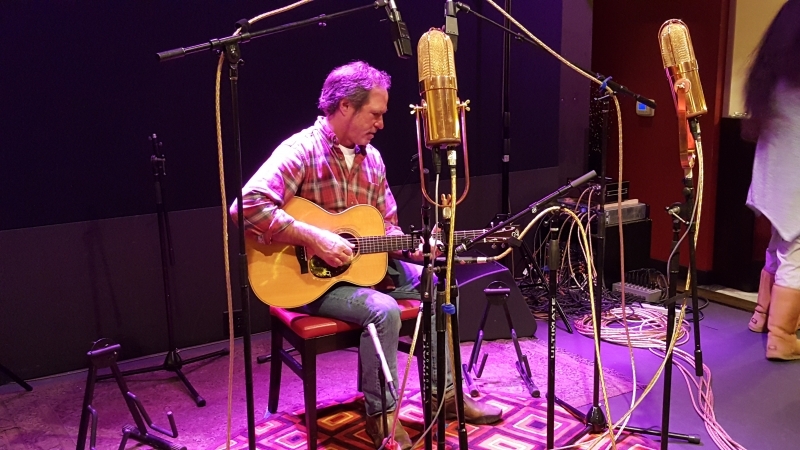 On January 26, 2016, Alex de Grassi and Keith Greeninger became the first two artists to have their music available for on demand streaming at DSD128. The new technology comes from Primeseat, a company from Japan that boasts some of the top technolgists from Sony, Korg and IIJ. The live concert was hosted by Blue Coast Records in celebration of their 10th anniversary. Cookie Marenco, founder and producer, recorded the live show using the same equipment found in the Blue Coast Studios. Takanori Fumeno helped coordinate the event in Japan through the IIJ, a well known Japanese Internet Company. The live concert was held at the Fenix, a San Rafael, California club who also broadcast a live video stream. The entire live concert can be heard on Primeseat at no charge by clicking this link. "Everone at Blue Coast Records is thrilled to be part of the first live DSD on demand broadcast. This is a monumental time in history", says Marenco. "We look forward to much more music being delivered in this way. It's well suited to live concert broadcasting." The on demand music is available for a limited time. If you've missed that opportunity, you can purchase the mixed version of the concert in DSD256 at the Blue Coast Records MicroStore. For more information, please contact support@bluecoastmusic.com for details.